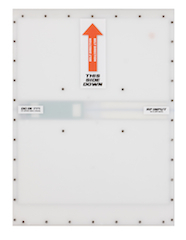 Part of the SlimLine range of airport antennas, the A6015 is a flat panel antenna array especially suited for airport self check-in baggage systems. With UHF ActivBeam™ active beam switching technology, the A6015 ‘searches’ for RFID tags, maximising read performance and ensuring that bag-tags are never missed. Designed for quick and easy installation and just 12 mm / 0.5 in. thick, the A6015 speeds up the process of airport check-in, improving operational efficiencies for baggage handling at airports - or anywhere UHF RFID tag-reading is required where stationary assets can’t afford to be missed.